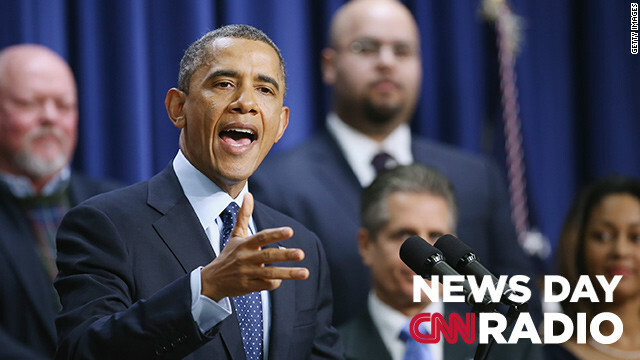 U.S. President Barack Obama delivers remarks about the fiscal cliff negotiations in Washington, DC. "Congress clearly has gotten not just in the habit of punting things down the road. But this seems to have become the new normal. And I really don't want to say that, but I think that anyone covering Congress has to face that reality." "If anything, this is just fun. It allows us to sort of take a cross-section of what's on people's minds." "Champagne is only Champagne if it's from the small region in France, the Champagne region, and the reason it's so expensive is because it's a limited region. There's only so much of it and so only so much wine can come out of it. And the methods that they use are very extensive to make the wines. "